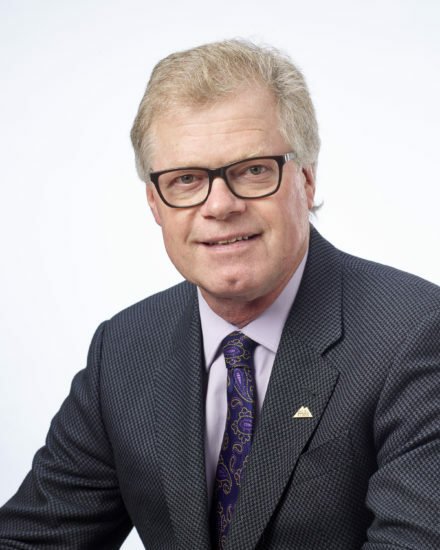 One of my underling philosophies as the chairman of Alberta Milk has been that we must always strive to strengthen our relationships and collaborative efforts with our partners and stakeholders. I am honoured to report that we continue to make great strides in those efforts. With so many challenges and opportunities globally, nationally and here in Alberta, now more than ever we need to work together. At the national level, Dairy Farmers of Canada (DFC) worked to address trade agreements including Comprehensive Economic and Trade Agreement (CETA), Comprehensive and Progressive Trans-Pacific Partnership (CPTPP, formally the TPP) and North American Free Trade Agreement (NAFTA). With the full implementation of the CETA agreement the impact of the importation of cheese from Europe was immediately felt. By the end of December 2017 there was a 97 per cent fill-rate of the Tariff Rate Quota (TRQ) issued. The Dairy Farm Investment Program was implemented and administered by Agriculture and Agri-Food Canada to support the competitiveness of dairy farmers and help adapt to the impacts of CETA. The uptake on the program was overwhelming, an illustration of the vast number of producers that were committed to expansion and enhancement projects needed to take on the challenges and opportunities facing producers. This demand also meant that many farms did not receive support, which is a true flaw in the program, as all farms in Canada were equally impacted by this agreement. With the decision of the USA to withdraw from the TPP and the at the same time demand that the NAFTA agreement be renegotiated, the trade file became very active. Supply management and especially dairy has been under constant media pressure. Alberta Milk, DFC and all our provincial counterparts have had to respond to many media inquiries and articles. We have worked hard to ensure that there was a dairy message to balance the -naysayers. The remining 11 members the TPP finalized the CPTPP in March. Despite the rigorous lobbying from the dairy industry, the CPTPP still included the original dairy access of 3.25 per cent requested by the USA. With the NAFTA renegotiations still underway, we cannot afford to allow more access to imports. We also collaborated within the dairy industry, across the supply management sector and with many others in response to the federal governments proposed Healthy Eating Strategy. We worked to gain understanding of the flaws with the strategy with members of parliament and the provincial government. The strategy has three components: changes to the Canada Food Guide, the introduction of front-of-package labelling, and a strategy on the marketing to children. The Healthy Eating Strategy is not science-based and focused on a plant-based diet. If not addressed, the result would be dairy products downgraded in the Canada Food Guide from currently being a category on its own to being lumped into the other protein category. Under the front-of-package labelling some dairy products will feature front-of-package warning labels, discouraging their consumption regardless of the full nutritional benefits and nutrient density. It is shocking to us as Health Canadas own advisory panel says most Canadian’s are not getting enough of the nutrients found in milk. These changes will not only negatively impact our industry it will have long-term health consequences for all Canadians. I am extremely pleased to report that the working relationship with the Western Milk Pool continues to be strong as we worked to address production and processing challenges. As a coordinated group, we are working to address the lack of processing capacity in Western Canada. While more has to be done, we are working together to ensure all processing in western Canada is served in an effective manner. Our collaboration through the AgCoalition (29 farm group members) has lead to the establishment of AgSafe Alberta Society and provided valuable input into the development of the Occupational Health and Safety (OHS) code for agriculture. AgSafe Alberta is producer governed and will develop and deliver farm safety management tools, resources and programs. Alberta Milk worked diligently as one of the members on the AgCoalition and with the Government of Alberta (GOA) to review the 142 GOA recommendations regarding OHS for agriculture to ensure these regulations met the expectations of farmers and ranchers in Alberta. We were pleased when the government recognized and respected the work of the AgCoalition through the Industry Guidelines. I was honoured to take part in the officially opening of the Lakeland College Dairy Learning Center. This state-of-the-art dairy facility will benefit dairy students and also provide classroom training and short-course extension opportunities. Alberta Milk is proud to be a partner and contributor. The transition on the Board continued as Heini Hehli and Klaas Vander Veen both reached a mandatory stepdown after serving for nine years and Jim Towle elected to step down from the Board this year. I want to personally thank them for the dedication, commitment, and sage advice they provided. In turn, we welcomed Greg Debbink and Miranda Verhoef as new Board members and welcomed back Albert Kamps who returned after a one-year stepdown. All three have had meaningful contributions. What an incredible year – my gratitude to all that helped make it so!